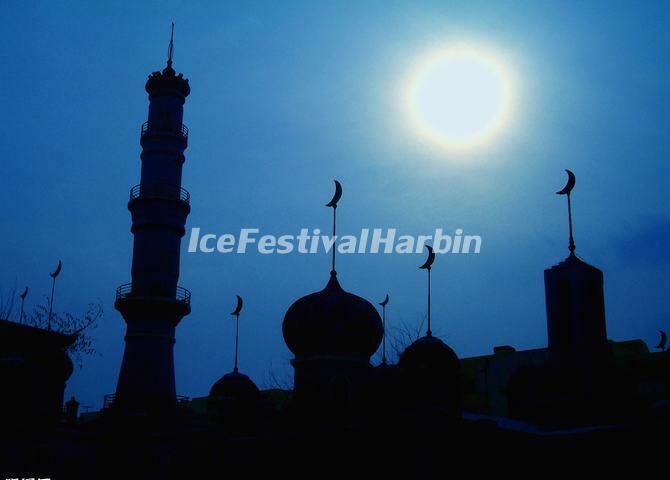 Built in 1837, Harbin Mosque is located in the central area of Daowai District. It has been built an extension in 2003. This classic Islamic-style architecture is towering crescent on Mochizuki Floor and the top of each dome. The mosque formerly was divided into East Temple, West Temple and women Temple. The main hall covers an area of 426 square meters, which is of Arab architectural style. The minaret is another important building of the mosque. The tall tower is used for climbing and calling for Muslims come to worship purposes. The tower stands on high on both sides of the temple; they have become an important symbol of mosques all over the world. Usually, it is quite seriously to its image and décor, use different building materials to performance the texture and color, demonstrating the Arab architectural style. 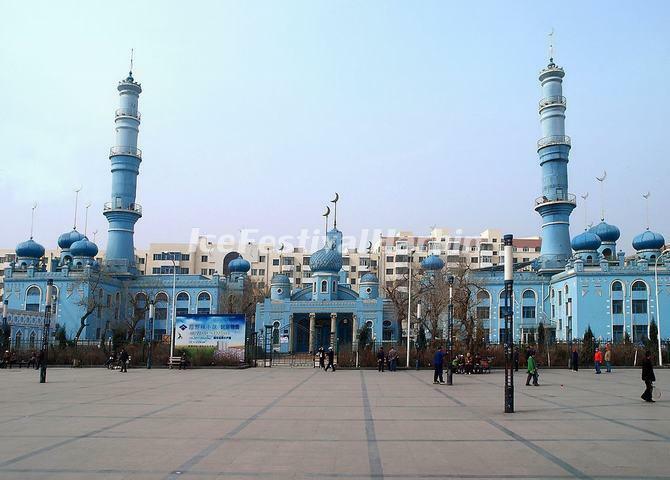 As the grand Mosque in the capital city of Heilongjiang Province, Harbin Mosque has become a place where the Muslims conduct various religious activities. Every year, the mosque receives more than 300 important international Muslim friends from Panama, Sudan, Malaysia, Turkey and a dozen countries in the Middle East. It also receives over 100,000 Muslim from all over China each year. And the mosque has become a must-see for the Muslim tourists from all over the world these years.